The Great Whale Road is a story-driven, turn-based tactical RPG for Linux. Gameplay is split into two seasons. Winter to manage and plan for the year ahead and summer when you sail the whale road and visit other towns and villages. You and your warband have to fulfill a quest each year, while ensuring that you have sufficient food to feed everyone through the long months of winter. Digitally hand-drawn locations are connected by an atmospheric side-scrolling sailing mode. Grid based tactical combat means that Valhalla can be just a warcry away. 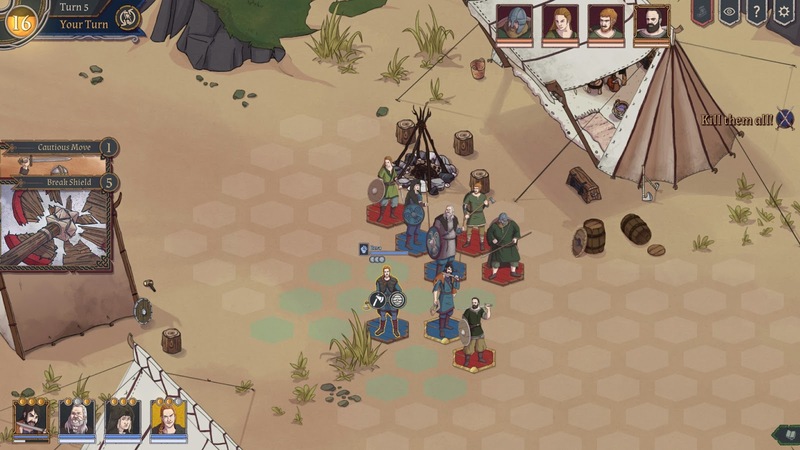 The game looks and plays similar to The Banner Saga, which can be a good thing. The game can be purchased from Steam.